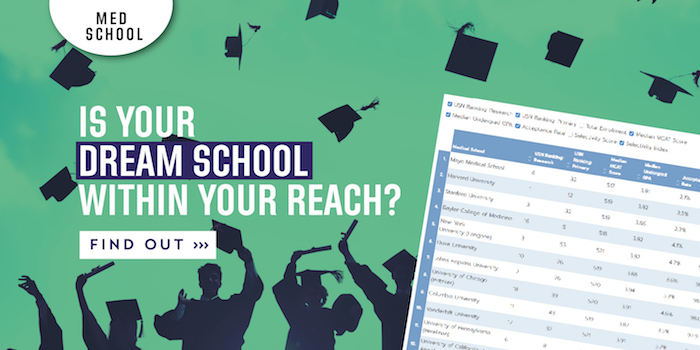 According to data submitted to U.S. News by 113 ranked medical schools, more than 40% of premed students accepted at the top 10 (or really 11 because of ties) Best Medical Schools for Primary Care or the top 10 Best Medical Schools for Research in 2016 studied a major with a biological science emphasis. Premed advisors say some top-ranked med schools are interested in applicants that not only have high scores in science courses but have also taken electives in the social sciences. They also state that liberal arts programs can even help boost a student’s profile when applying to med school. In addition, this balance is reflected in the updated MCAT with its new subsection, Psychological, Social and Biological Foundations of Behavior. More interdisciplinary majors have developed in recent years, such as organic chemistry, biochemistry, neuroscience, or medical, health, and society, allowing students to take a mix of health studies along with the traditional medical sciences. These interdisciplinary majors have premed requirements, “but also allow the student to understand a broad scope of health care in general,” says Michelle Grundy, director of the health professions advising office for Vanderbilt University’s undergraduates.